Thyroid health affects many aspects of our lives: daily energy, metabolism, hair and skin, and overall vital sense of well-being. If you've noticed occasional fatigue, overall sluggishness, or simply don't feel the vibrant health you used to enjoy, Thyroid Care is the answer. 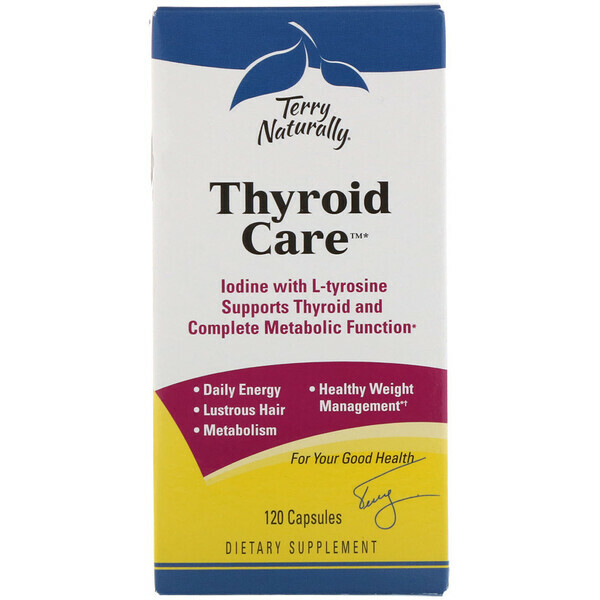 Iodine in three forms, including potassium iodide, sodium iodide, and molecular iodine for thyroid hormone synthesis, which in turn supports a healthy metabolism, lustrous hair, and hormone balance. 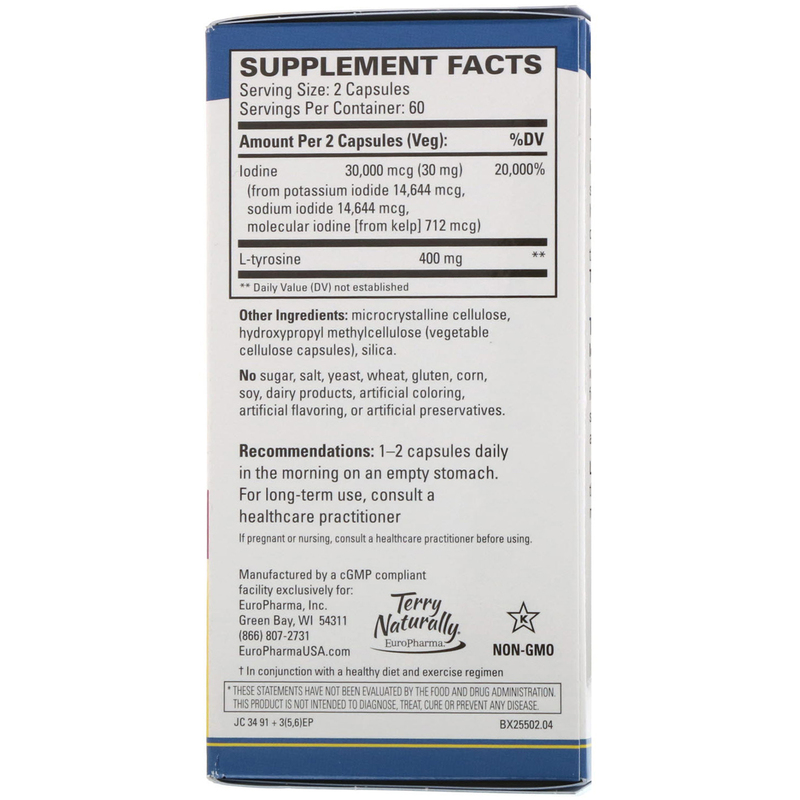 L-Tyrosine, an amino acid required to create the thyroid hormone thyroxine supports mental well-being and daily energy. 1- 2 capsules daily in the morning on an empty stomach. For long-term use, consult a healthcare practitioner. Microcrystalline cellulose, hydroxypropyl methylcellulose (vegetable cellulose capsules), silica. No sugar salt, yeast, wheat, gluten, corn, soy, dairy products, artificial coloring, artificial flavoring, or artificial preservatives.